You can read more detailed information about HMO tenancies in the section entitled HMO tenancy agreements. In this part of the HMO guide we are looking specifically at the differences between being offered a joint tenancy with the rest of the people in the building and one that relates only to your room (a sole tenancy). You will be jointly and severally liable for the actions of everyone else that you live with. You will all sign the same contract if you have a joint tenancy. You will rent the entire property together. This tends to be a cheaper way to rent a shared property as there is less admin involved. All tenants move in and out at the same time although new tenants may replace those that want to leave, in which case a new joint tenancy is normally issued. If one of the other people you live with doesn’t pay their share of the rent then everyone else is liable to cover it. The same goes for paying for the cost of damage that someone causes to their room or the communal areas. You will usually have some say over who the other tenants are under this arrangement, which is particularly useful if a tenant you know is leaving and you can vet other potential incoming options. Once the fixed term on a joint tenancy expires, any of the tenants can give notice to leave the property, it doesn’t have to be everyone together. The remaining tenants won’t be forced to leave but will need to sign a new tenancy with the landlord. If one tenant leaves then an inventory should be done and any necessary deductions taken from the deposit of the outgoing tenant. Tenants cannot leave during the fixed term of the tenancy. If one tenant decides to leave then all the others remain responsible for their share of the rent until proper notice is given. You are only responsible only for your own actions and you will be renting one specific area in the HMO (normally your own room). You are unlikely to have any say over who the other occupants of the building are. You are the only person who signs your tenancy agreement. Sole tenancies tend to be more expensive than signing a joint tenancy as there is more admin involved and potentially more risk for the landlord. If you don’t pay your rent or you cause damage then only you are responsible for it – the others in the building have no liability to the landlord. Ideally, sole tenants have their own individual meters for utilities or it can get confusing as to who should pay what in terms of bills. 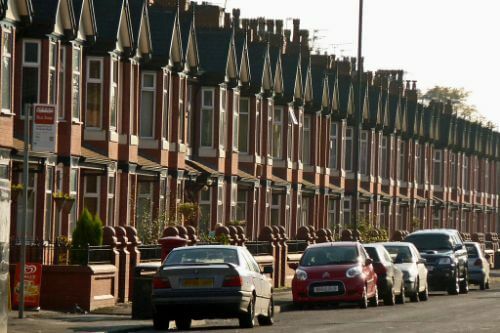 Sole tenants give notice in the usual way under an assured shorthold tenancy – you cannot leave during the fixed term without still being liable for the rent and if you want to leave before the tenancy expires then you will need either a break clause or the landlord’s agreement to do so. It’s important to do a full inventory when you arrive and when you leave so that you don’t pay for damage someone else has caused.